Opera founder Jon S. von Tetzchner has resigned from the company. In an email to Opera employees, von Tetzchner said that “It has become clear that The Board, Management and I do not share the same values and we do not have the same opinions on how to keep evolving Opera. As a result I have come to an agreement with the Board to end my time at Opera. I feel the Board and Management is more quarterly focused than me.” You can read the full email below. 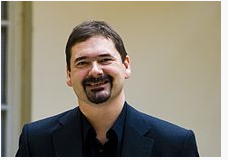 Von Tetzchner co-founded Opera Software in 1995, and led the company up to 2010, when he resigned as CEO. He then became a full-time strategic advisor to the company. It’s unclear what values Opera’s founder and the board disagreed upon. The independent mobile and web browser tens of millions of users, and seems to be growing at a fast clip. focused than me. I have always worked to build the company for the future. I believe the foundation we have is very solid to build further upon. following the company closely and rooting for you all.